As with past Pokémon games, the latest one, Pokémon X/Y, takes its visual cue from real world geography. For example, in the last big Pokémon titles, Pokémon Black/White, the in-world map was apparently modeled after New York City. 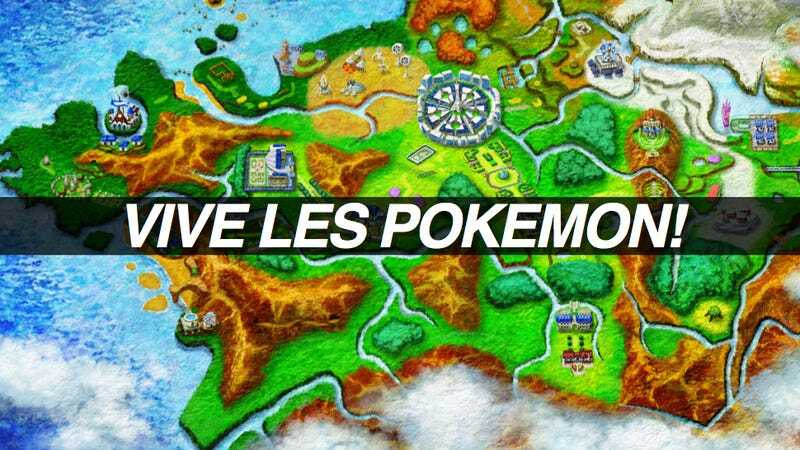 This time, the game appears to be modeled after France—though, as one Kotaku reader points out, the game's official site says the region is star-shaped. Though, this being Pokémon, it's certainly not an exact copy by any stretch. But still, what's up with Pokémon Spain? Pokémon Italy? And Pokémon Germany? They're really brown. And in case you missed it, check out the game's latest trailer.